HITRUST CSF Certification validates Logicworks’ commitment to meeting key regulations and protecting sensitive information. NEW YORK, May 22, 2018 — Logicworks, a leading compliant cloud services provider, today announced that their automation and management services on Amazon Web Services (AWS)1 have earned Certified status for information security by HITRUST. HITRUST CSF Certified status demonstrates that the aforementioned organization’s AWS services have met key regulations and industry-defined requirements and is appropriately managing risk. This achievement places Logicworks in an elite group of organizations worldwide that have earned this certification. 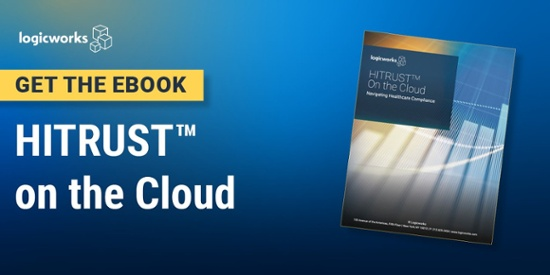 By including federal and state regulations, standards and frameworks, and incorporating a risk-based approach, the HITRUST CSF helps organizations address these challenges through a comprehensive and flexible framework of prescriptive and scalable security controls. Logicworks helps healthcare companies at any stage of cloud adoption to protect critical data and implement a mature operations practice to enable continuous compliance. Logicworks can provide companies with a comprehensive evaluation of their existing on-premises and cloud-based workloads in order to prepare ePHI for migration to the cloud. Logicworks helps companies architect and build HIPAA and HITRUST-ready AWS solutions, and can also continuously protect data with 24×7 monitoring, technical support, and automated security controls. Logicworks, the leader in compliant cloud solutions, provides end-to-end professional services, cloud management, and cloud security to clients in the finance, healthcare, and SaaS industries. To learn more about Logicworks, visit www.logicworks.com. 1 Including Jenkins, Puppet, Gitlab, Confluence, Jira, monitoring, and intrusion detection software utilized in our automation and management services on Amazon Web Services.